A rugged police detective (Clint Eastwood) in San Francisco tries to capture a deranged serial killer (Andrew Robinson), but finds his efforts thwarted by bureaucratic heavies, including the city’s mayor (John Vernon) and D.A. (Josef Sommer). Touted by many reviewers upon its release as simply a fascist’s fantasy (its original title was Dead Right), Dirty Harry has largely transcended its initial political pigeonholing to become a certified cult favorite, with several sequels in its wake (all listed in Peary’s book as “must see”). Eastwood basically reprises the persona he crafted in so many other films (most specifically Sheriff Walt Coogan in Coogan’s Bluff) as yet another laconic, no-nonsense “Male” who refuses to compromise his philosophy of “getting the job done” at any price; many of his sneering lines — “You’ve got to ask yourself one question: ‘Do I feel lucky?’ Well, do ya, punk?” — have gone down in cinematic history. While it’s unfortunate, as many reviewers have pointed out, that Harry’s superiors are painted as such one-dimensional nincompoops, and that his nemesis, “Scorpio”, is basically a distillation of every right-winger’s nightmare (longish hair, indeterminate sexuality, an ironic peace symbol on his buckle), ultimately Dirty Harry should be seen and enjoyed as simply a well-crafted cat-and-mouse police procedural. 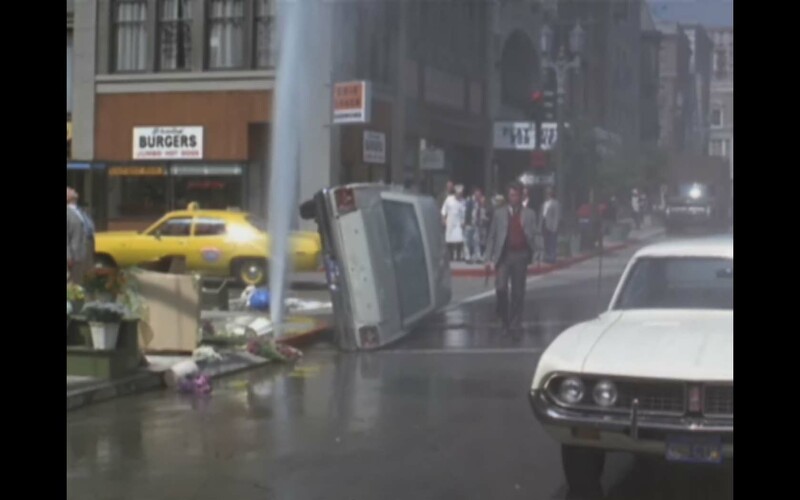 To this end, director Don Siegel makes excellent use of diverse San Francisco locales, and infuses his action scenes with a nice blend of tension and humor. 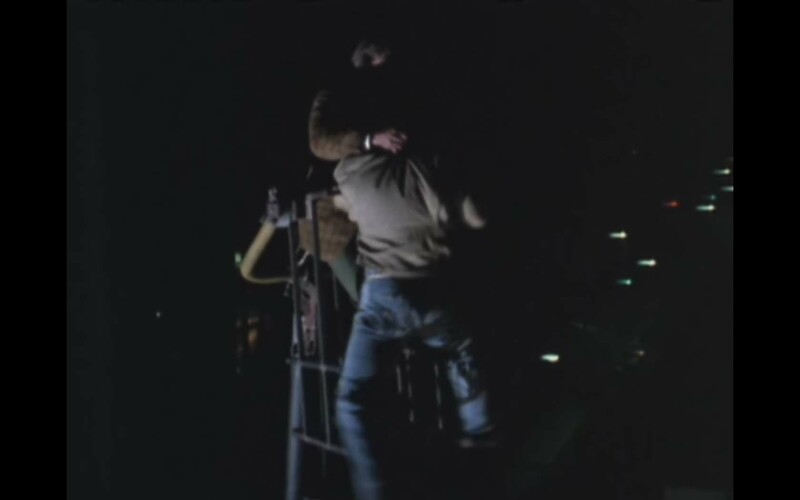 My favorite early vignette has Harry pulled off the street to help talk a suicidal man down from a rooftop; his ability to do so within the space of five minutes, then walk away without being shown much gratitude, goes a long way towards establishing Harry as the independent, under-valued “doer” he remains throughout the rest of the film. “Dirty Harry”, indeed: “every dirty job that comes along” does seem to be his for the taking. Yes, for its status as a cult favorite. Listed as a film with Historical Importance, a Cult Movie, and a Personal Recommendation in the back of Peary’s book. Not a particularly great film in terms of material, but it’s certainly of importance to ffs for the style that director Siegel (working in the latter part of his career) brings to it – esp. in just about any scene filmed outside (Siegel actually appears a bit bored with a number of the indoor sequences, which tend to be shot in a flat, tv-like manner). One of the best (and creepiest) of the locale shots takes place in a football stadium in which Eastwood finally tracks down the killer (and this isn’t even the finale). There’s an amazing aerial shot at the end of the sequence – worthy of a horror film, as is the scene that follows. With all the talk in this film about a killer’s “rights”, one can’t help but root for Eastwood. (Having just read Grisham’s ‘The Innocent Man’, seems to me equally scary to know of the rights taken from those only perceived to be killers.) But though it’s now iconic, I hate the fact that his “Do I feel lucky?” speech is virtually repeated near the end. It’s too self-conscious there and spoils the mood. At the very least the speech could have been shortened to a version of that single question; the audience would have ‘gotten’ it and filled in the rest. This is a movie I saw over and over and over when it was released cause I was working as a theater usher at the time. I recall it being a real crowd pleaser.